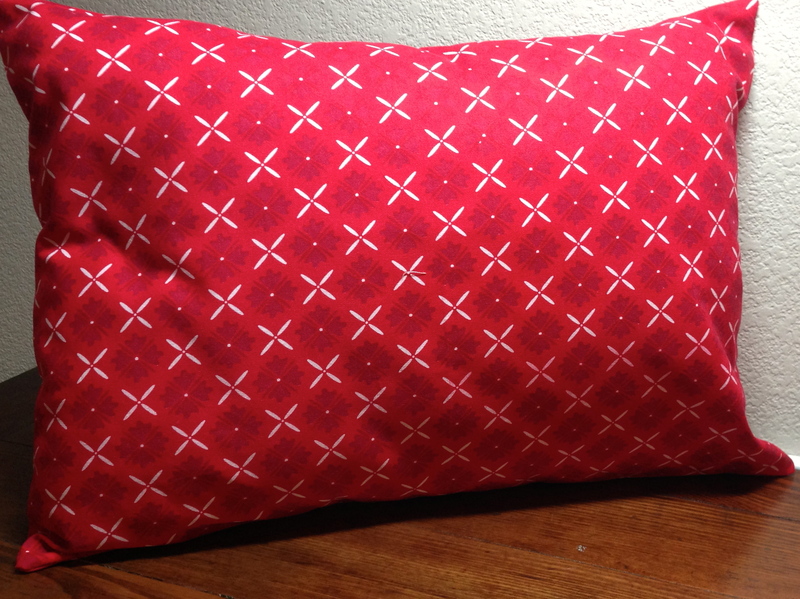 If you made the pillowcase from the last article, I hope you enjoyed the process while learning how to sew! This pillowcase is the same size, and takes the same sized pillow insert. But where the first one had a traditional side opening, this version has an overlapping back opening to insert the pillow. 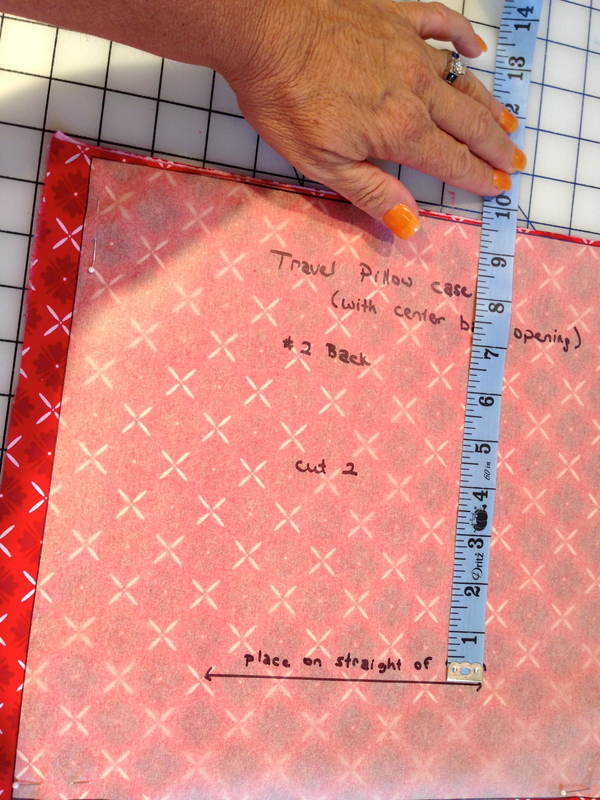 For this project, you will need: 1/2 yard of cotton fabric, at least 44″ wide, thread to match, and a pillow insert. 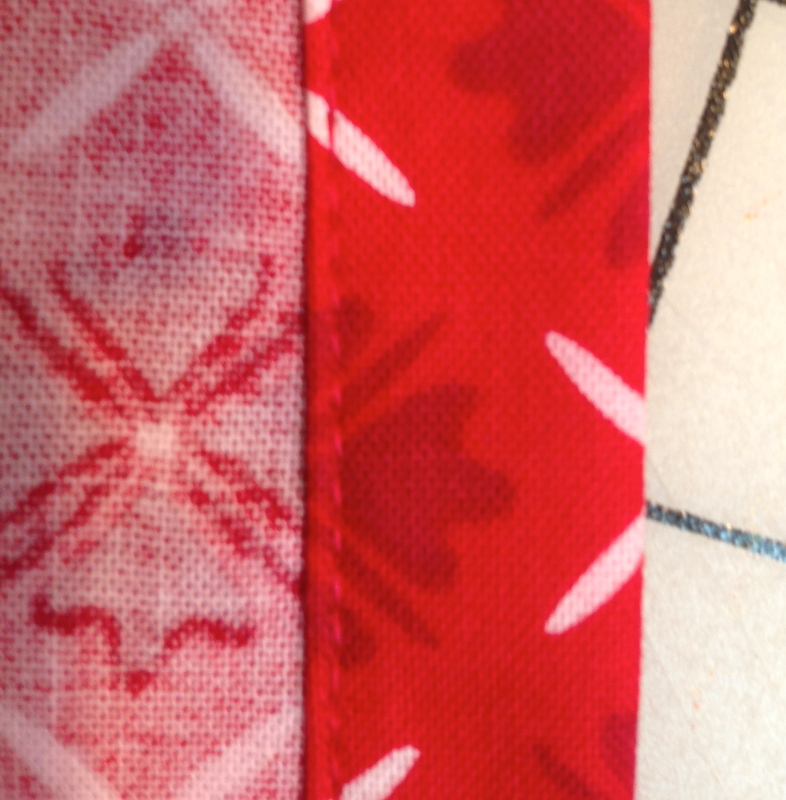 You will also need paper or pattern transfer fabric to make your pattern. Alternately, you can draw the dimensions directly onto the fabric. 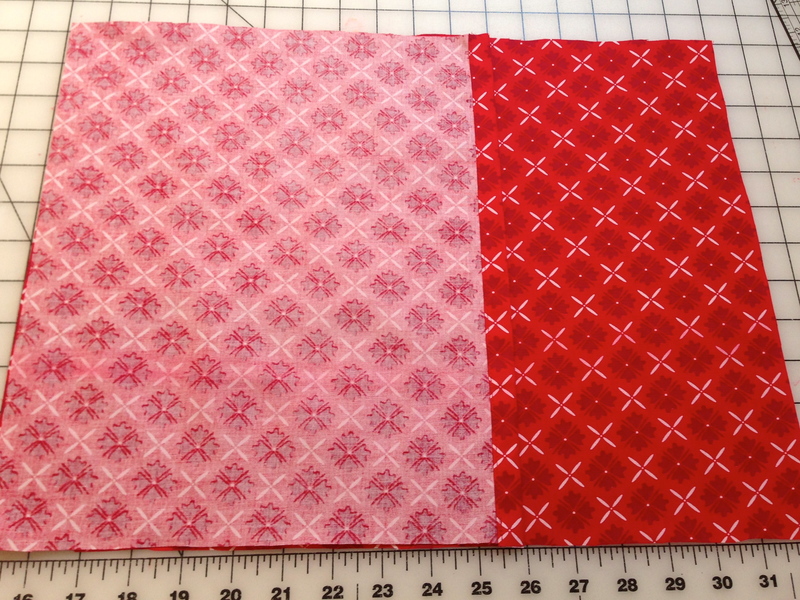 For either of these options, you will need a marker or fabric marker, and a straight edge. You will also need the following sewing tools: sewing pins, dressmaking shears, pinking shears, a hem gauge, and a seam ripper for those inevitable mistakes. Small snips or scissors are also handy for cutting threads and other small jobs. 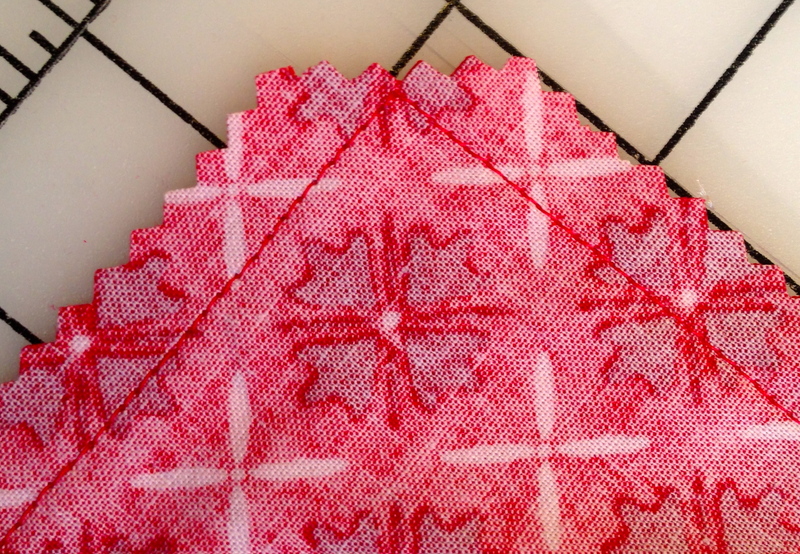 To create the pattern, draw two rectangles onto thin paper or pattern transfer fabric. This special fabric should be located in the interfacing section of your nearest Hancock’s or other fabric store. (If they don’t have it, a thin inexpensive interfacing would also work.) 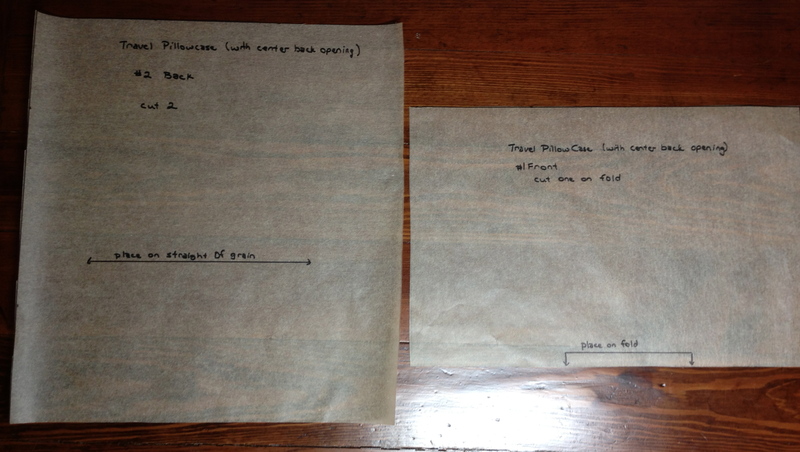 One rectangle should be 12″ x 13″ (the pillowcase back), and the other 8.5″ x 13″ (the pillowcase front). 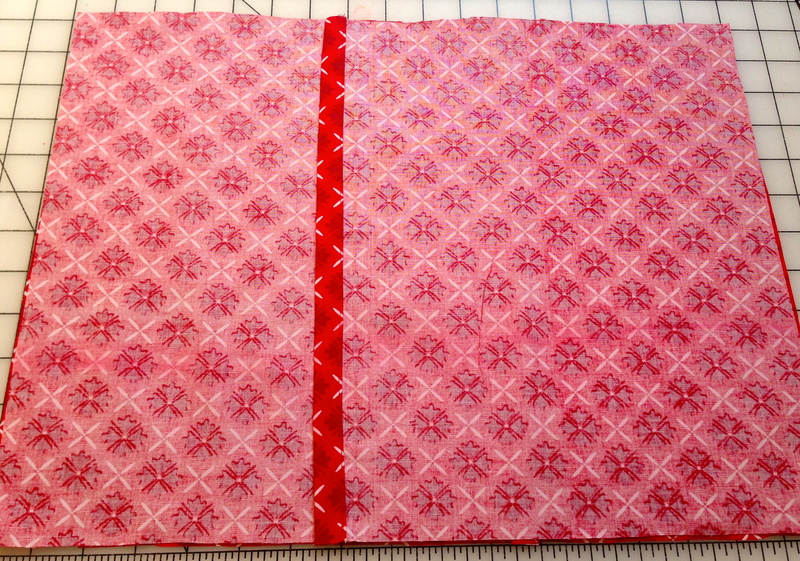 The front is placed on the fold of the fabric on one of the 13″ sides. The back is placed straight on the grain of the fabric. 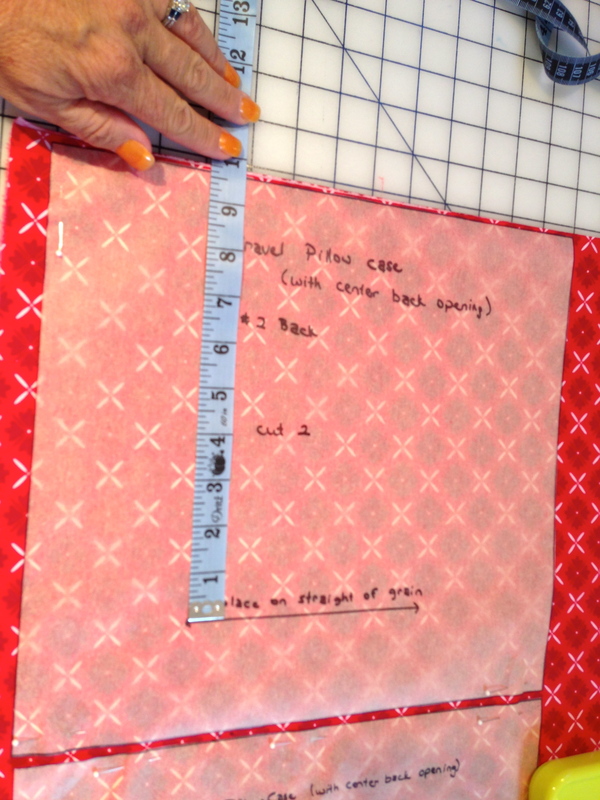 (See Learning to Sew – Fabric for details about grainline and straightening fabric) Draw a horizontal line on the pillowcase back pattern piece parallel with the 13″ side of the rectangle. Refer to the photo below for all pattern markings. After you have pre-washed and dried your fabric, and straightened at least one end, lay it out flat on the cutting surface. 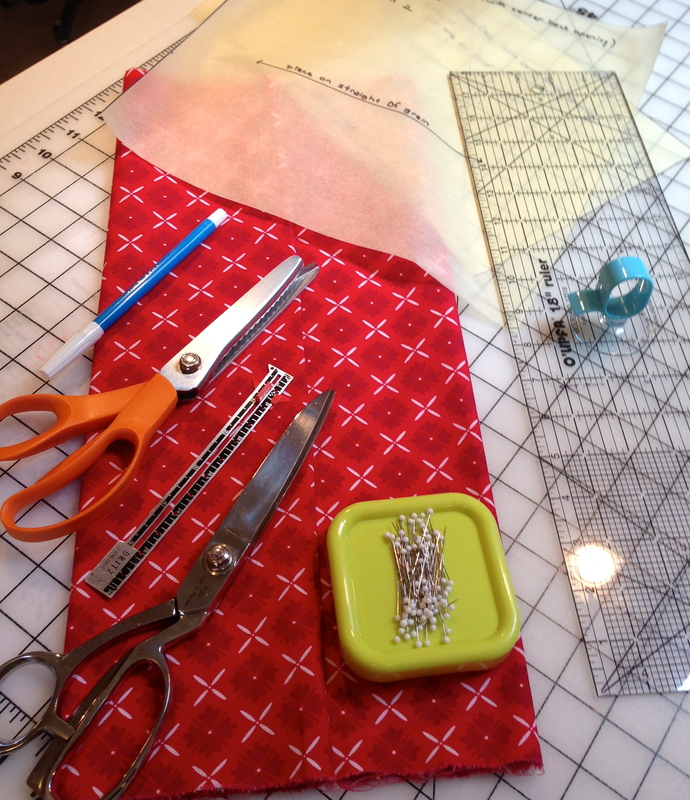 Lay the pattern pieces out on your fabric as shown below. Make sure the straight-of-grain arrow on the pillowcase back is parallel to the selvage by measuring the distance between them. Place the pillowcase front on the fold where the arrows indicate. Pin the pattern on the fabric; cut out with dressmaker shears. An alternate method of cutting out the pieces of this pillowcase is to draw the rectangles directly onto the fabric. 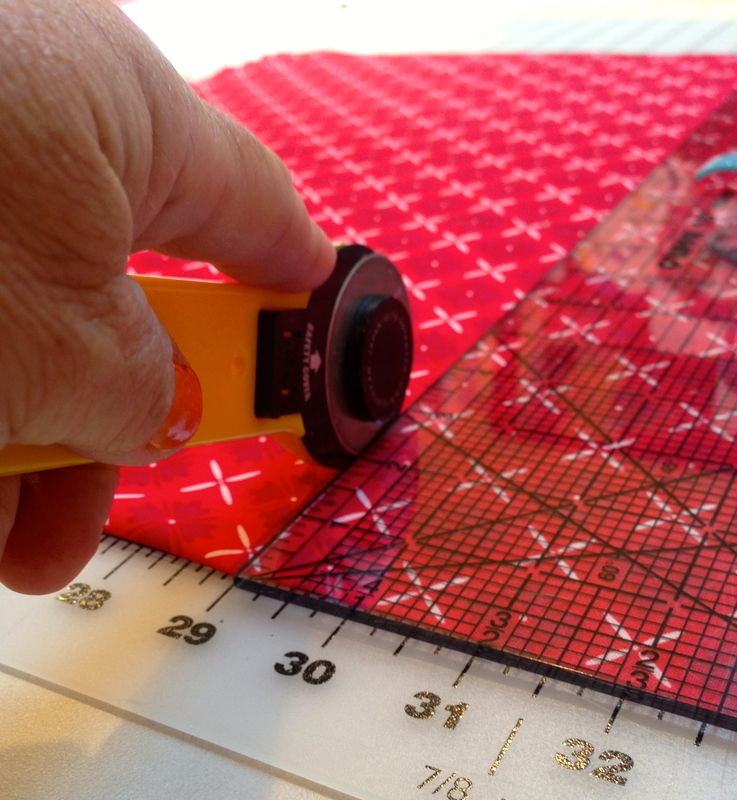 Use a fabric marker and a straight edge to draw the measurements, taking your time to make sure of your accuracy. Be sure to draw the 8.5″ by 13″ rectangle on the fold, as shown in the photo below. Remember, cutting mistakes cannot be corrected like sewing mistakes can. 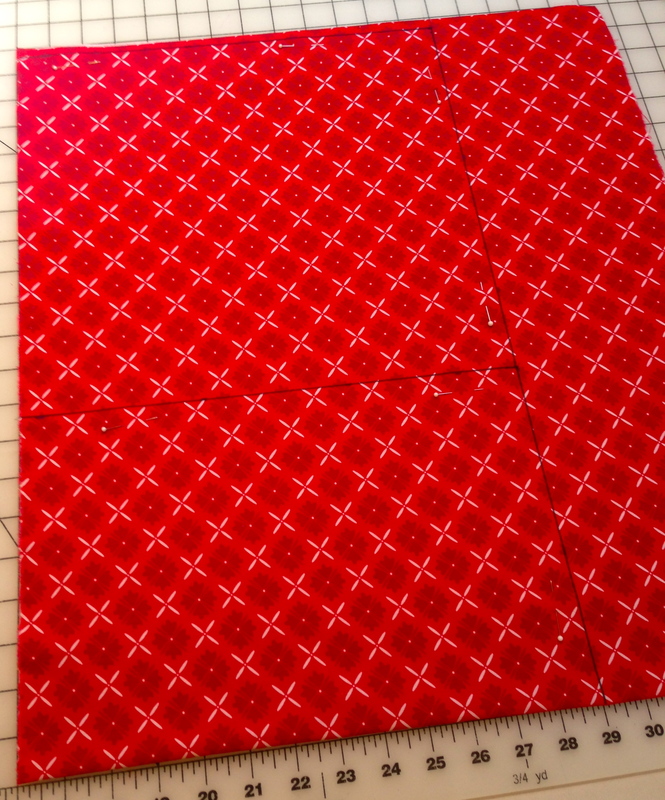 Place pins just inside the marked lines to keep the fabric layers from shifting while you cut. Cut with dressmaker shears. If you have access to a rotary cutter and mat, you can use these handy tools to cut the pieces of the pillowcase out. These tools make quick work of straight line cutting, and are very popular with quilters. 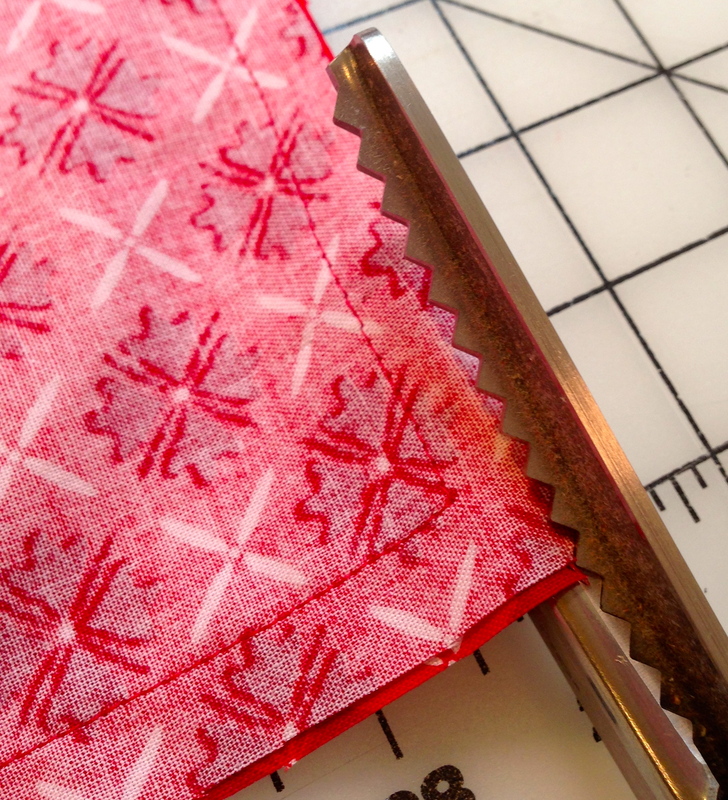 If you decide to use a rotary cutter, be sure to practice on some scraps to get the hang of keeping the cutter straight and the straight edge still. Rotary cutters are very popular with quilters; because you are cutting straight lines, the rotary cutter can be used here as well. Now you are ready to assemble your pillowcase. Remove pins and pattern from the fabric. To finish the edges of the back opening, turn one 13″ side of the back 1/2″ toward the wrong side, using a hem gauge for accuracy; press. Turn again, using the last turn as a guide. My second turn measured 5/8″ in this sample. Press this turn, then pin for sewing. Repeat for second back piece. 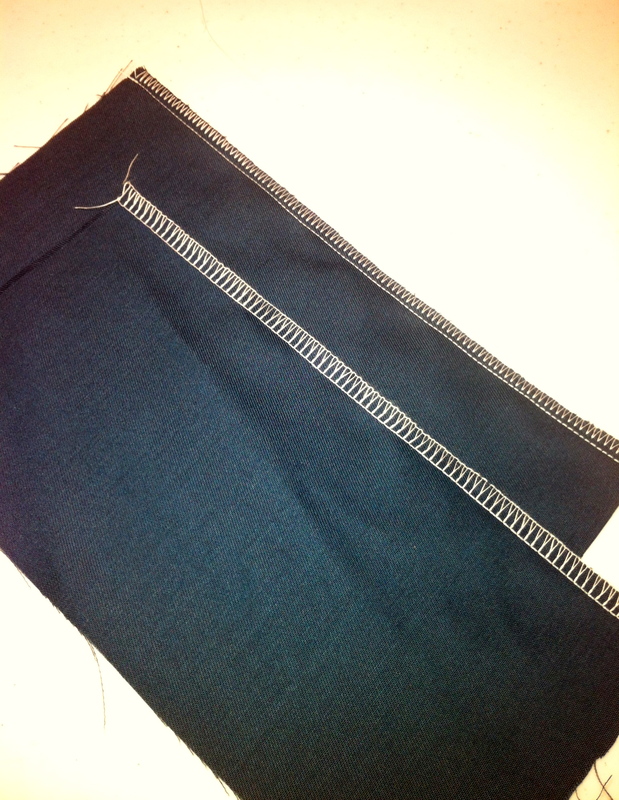 Sew along the folded edge, taking care to keep your seam as straight as possible. Be sure to backstitch at the beginning and end of your stitch line to secure the stitches. Go easy on the foot pedal; this isn’t Nascar! Turn and press twice; sew along turned edge. This creates a polished finish for the back opening. 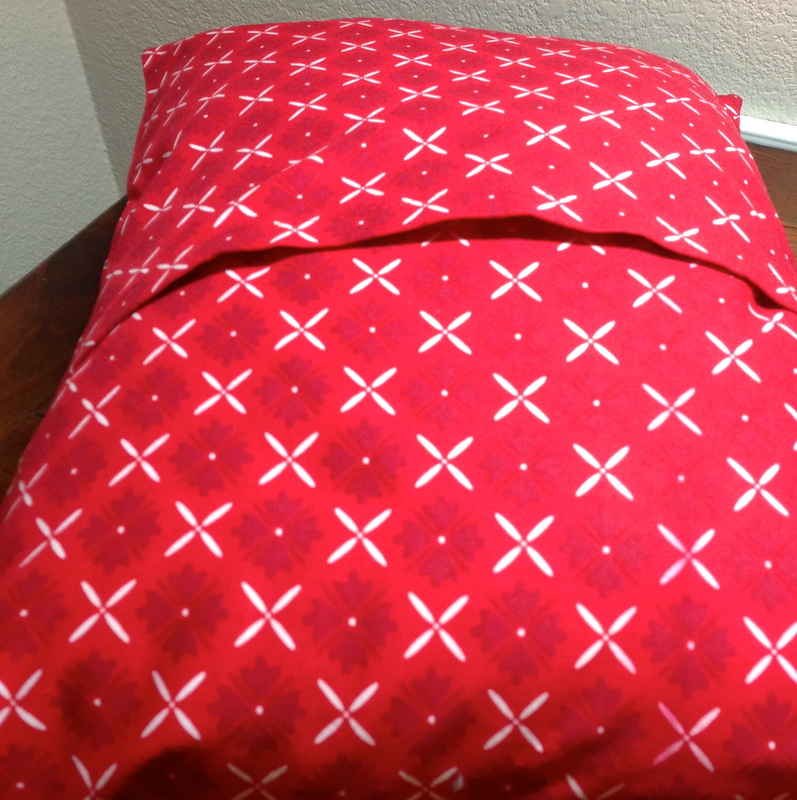 Unfold the pillowcase front and lay it flat with the right side up. With right sides together, place one of the backs along the left edge of the front, with the finished edge toward the middle. Place the other back on the right side, using the same procedure. The finished edges will overlap about 4.5″. Place the second piece as shown here; pin all around the outside for sewing. 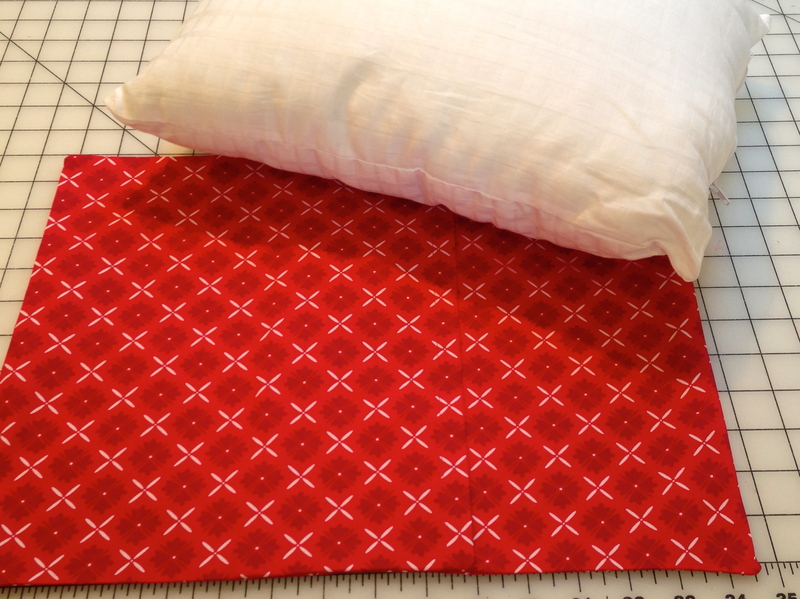 Using a 1/2″ seam allowance, sew all around the outside of the pillowcase. Start on one of the sides, and not on a corner. When you get to a corner you will need to pivot. 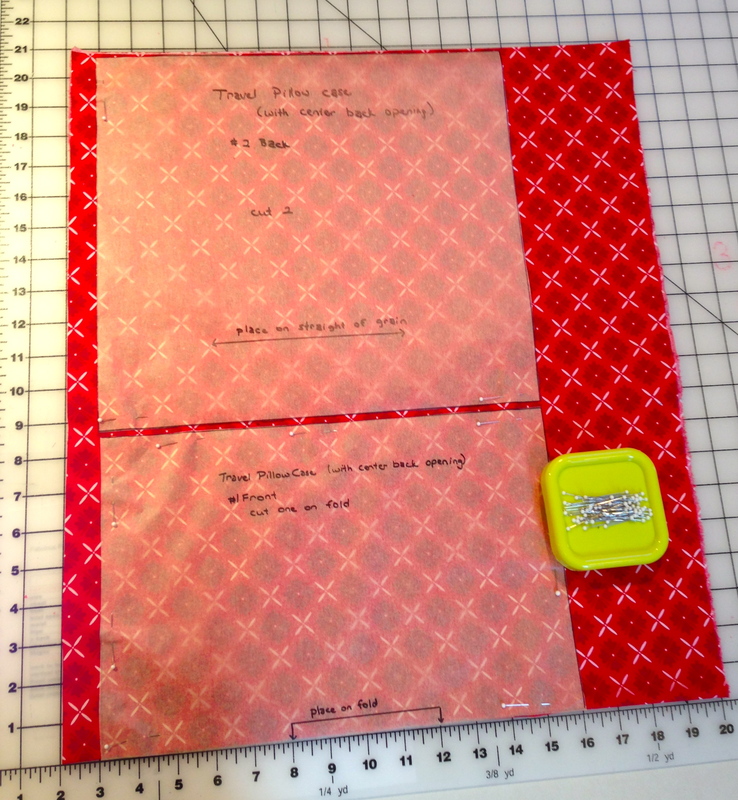 To do this, stop your stitch when you are 1/2″ away from the corner. Use your hem gauge to be sure of where you should stop. With the needle still down in the fabric, lift the presser foot lever. 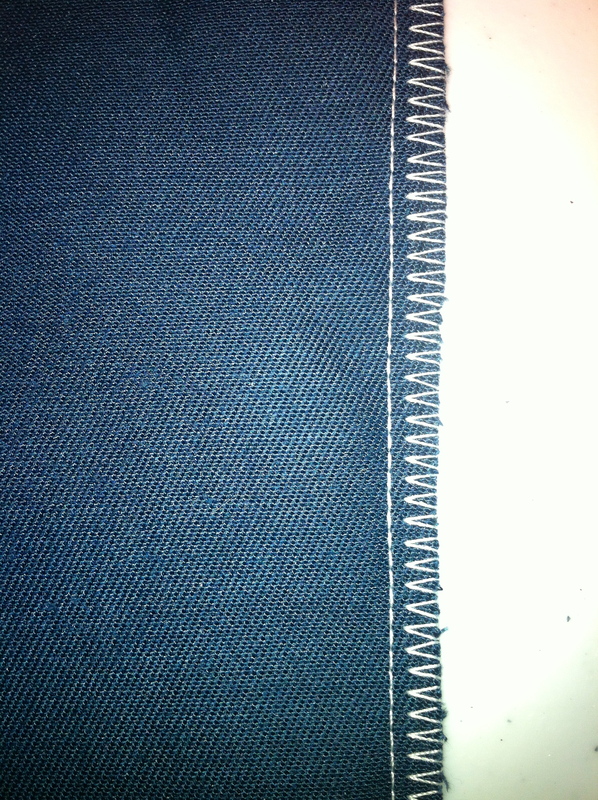 Turn the fabric for stitching the next side, checking again to be sure you are at 1/2″ for the next seam. Repeat this process at each corner, and stitch until you reach the point where you started. Back stitch here to secure the stitches. See the short video below for a visual of pivoting. With pinking shears, trim the outside of the pillowcase. Take care to only cut the outside raw edge, leaving most of the seam allowance. Trim the corners diagonally, but do not cut too close to the stitches in the corner. Turn the pillowcase right side out; press. Insert pillow into the back opening and adjust. Stand back and admire your work! If you make this pillowcase, we would sure love to hear about your experience. We’d also love a photo or two, so we can admire your work as well. Next time, we will tackle a project using a commercial sewing pattern. Hope you will join us! To all of you beginner sewers, or to those of you who have not found the money or inclination to buy a serger yet, I thought I would share my “mock serge” method. This is the way that I finished seams for years, before there was any such thing as a serger for home sewers. 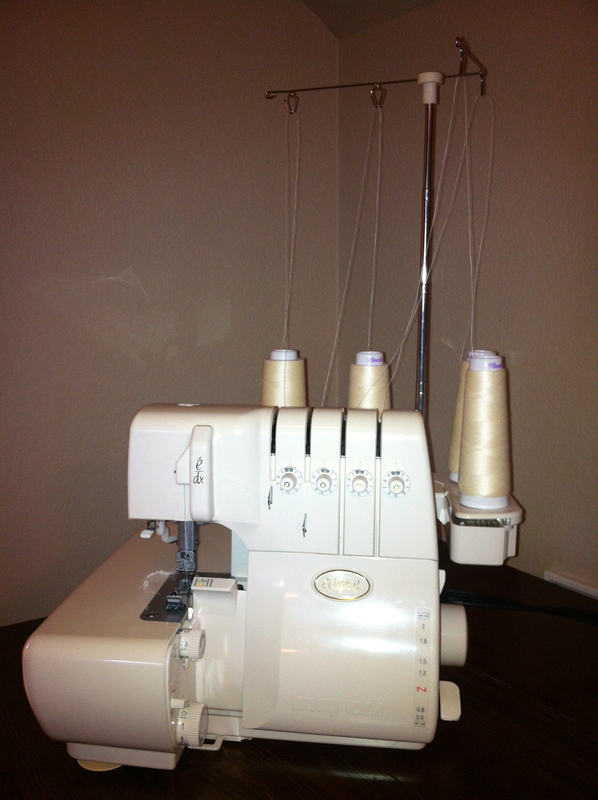 Now, I do have to tell you that I absolutely love my Baby Lock serger! I would not want to go back to this method. But the point is, sergers are not cheap. Well, you can probably buy a cheap serger, but I actually would rather do this “mock serge” method than have anything besides a Baby Lock serger. That’s where Baby Lock comes in, and that’s why they are worth every penny that you will spend. Baby Lock sergers have this magic way of using air to swoosh the thread through the complicated maze with the downward push of a lever. It makes me smile every time. Maybe there is another company that uses magic to make threading easy; I don’t know. But if you are considering anything besides a Baby Lock when you take the serger plunge, be sure you sit down in the store and thread the machine yourself before you hand over your credit card. If not, you may be setting yourself up for frustration. Or, you may decide to never change your off-white thread, even if you are sewing a Little Black Dress. Those gigantic spools will last a long time. But when they run out, I won’t be surprised to hear your serger went flying out of your sewing room window. Accompanied by language that may ruin your reputation as a kind and gentle neighbor. But let’s just say that you are not ready to buy a Baby Lock serger. And let’s just say that even though you are new, or relatively new, to sewing, you still want to produce work that looks handmade but not home made. Well, that requires finishing the seams of anything that is not lined. And that is where my mock serging technique comes in handy. 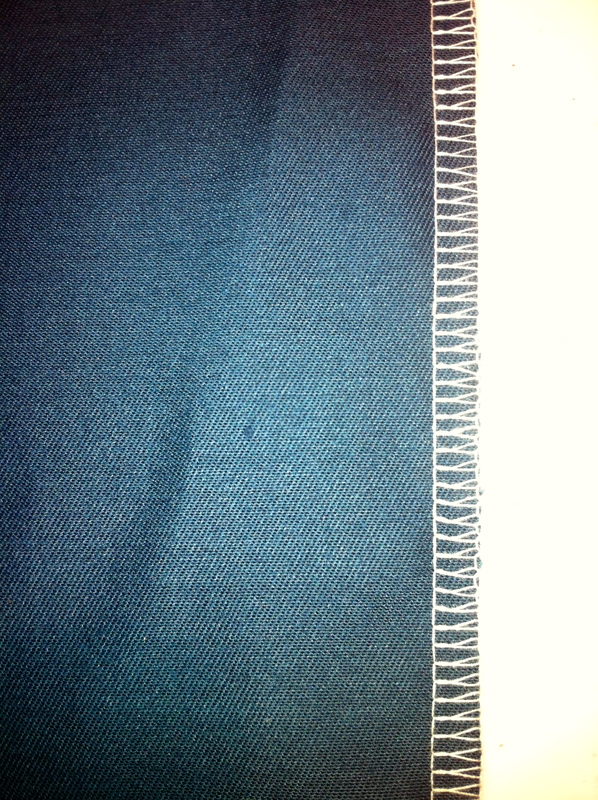 Here are the steps for creating a mock serge seam and finish, and it should look something like the picture below. Sew along your normal seam line. Trim the seam to 1/4″ or 3/8″. Don’t trim any close than 1/4″. Set your machine to its widest zig zag setting. Use a stitch length of about 15 stitches per inch. (You will, of course, need to practice to get the length just right. You don’t want a dense stitch length as this will create a ridge that will show and will be felt from the outside.) When the needle is in the left position of the zig zag, it should be on your fabric. When the needle swings to the right, it should be just off the edge of your fabric. Stitch the raw edge in this manner, and you should end up with a nice seam and finish. Of course, you will need to practice this a little to get good results. Different weights of fabrics will require some stitch length adjustments, but always use the widest zig zag stitch your sewing machine allows. Okay, so now it’s your turn! I’d love to hear how you do!